Carpet flooring makes your home, office or a commercial space comfortable, beautiful and fresh. Cleaning the carpet goes a long way in making it look fresh and stunning. It also increases its lifespan. Gone are the days when carpet cleaning only involved scrubbing with a brush and then splashing water. 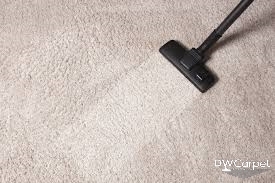 Today, there are very effective methods and techniques of cleaning a carpet. Let’s look at some of them and their pros and cons. The method involves using applying carpet shampoo onto your carpet before using a motorized brush to scrub into the fibers. Experts who do carpet shampoo in Singapore will do you a great job. Just like the name suggests, dry cleaning doesn’t involve the use of any water. The cleaner spreads over an absorbent compound and then use counter-rotating brushes to work the compound through. The compound will absorb the soils for about 10 minutes before the compound, which is powder foam, is vacuumed. This cleaning method doesn’t the use of any water. The method uses a chemical that contain crystallization and cleaning agents. The method is new and very effective. The cleaning agents suspend soils, debris and dirt which results from the rotating brush of the vacuum. On the other hand, the crystallization agent encapsulates and dries the dirt, soils and debris into crystals that are then vacuumed away. Often, people tend to confuse this method with the carpet shampooing method not only because they are quite similar, but also because their names are almost the same too. In this method, the carpet shampoo in a liquid form is first whipped into foam using a foam generator. After which, the shampoo is applied to the carpet. The method uses only 10 percent of the liquid with 90 percent air. 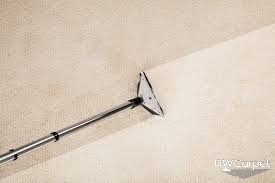 Reel brush systems are used to apply the liquid shampoo into a carpet that is being cleaned. After a short while, it is sucked into a vacuum. Bonnet cleaning is sometimes confused with dry cleaning. In this method, what is used is a cleaning product mixed with carbonate water. 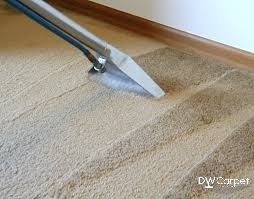 You will then spread the mixture as a mist over the carpet as a bonnet runs over all the soiled areas of your carpet. The bonnet has an absorbent covering which is replaced with a new, clean one when it becomes grimy. This will ensure that all the dirt and soils are completely withdrawn from the carpet because all of them are going to stick onto the bonnet. You might be wondering what a bonnet is. Well, it is simply a circular rotating buffer.